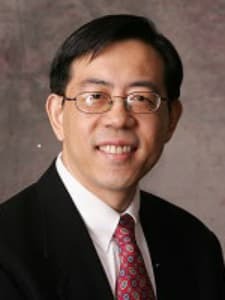 Jiatao (JT) Li is Lee Quo Wei Professor of Business, Head and Chair Professor of Management, and the Senior Associate Dean of the HKUST Business School, Hong Kong University of Science and Technology. His current research interests are in the areas of organizational learning, strategic alliances, corporate governance, innovation, and entrepreneurship, with a focus on issues related to global firms and those from emerging economies. His work has appeared in top academic journals such as Academy of Management Journal, Academy of Management Review, Journal of International Business Studies, Organization Science, and Strategic Management Journal. JT was previously with McKinsey & Company in Hong Kong, a leading global management consulting firm. JT has been serving as an Associate Editor for the Strategic Management Journal since 2009, with a focus on global strategy and firms from emerging economies. He is also serving on the editorial boards for such publications as the Academy of Management Journal, Cross Cultural Management, Global Strategy Journal, Journal of International Management, Journal of Management, and Long Range Planning; and previously for Asia Pacific Journal of Management, Journal of International Business Studies, and Management and Organization Review. An active member of the Academy of International Business (AIB) since 1990, JT has served the AIB in many dimensions. JT is an incoming Editor of the Journal of International Business Studies (JIBS) for 2016-2019, responsible for research related to strategy and policy in emerging economies. JT also serves as Co-Chair of the Junior Faculty Consortium at the 2016 Academy of International Business meeting in New Orleans, after having served on the faculty panels for multiple years. JT has been a champion for promoting international business scholarship, particularly in Asia. Under his leadership, HKUST now sponsors the “IM Division HKUST Best Paper in Global Strategy” award at the International Management Division of the Academy of Management. JT also serves as a Program Chair for the Strategic Management Society (SMS) Special Conference in Hong Kong in December 2016, on the theme of “Contextualizing Strategic Management in Asia: Institutions, Innovation and Internationalization”.